Last Good Friday, we took a detour from our regular Tagaytay get-away. The drive to Sampalok Lake in Laguna down to Tiaong, Quezon, for a Holy week day tour, a few years back was still fresh in my husband's memory. We didn't plan a summer outing for the Holy week since we have booked our first week of June for a visit to Dumaguete and Negros. So to cap off the month of March, we headed down Indang, Cavite to explore some hidden falls or lakes. My uncle used to bring us to Indang when we were kids. From time to time his then wife would bring us to the river to cool off and watch the neighboring ladies wash their clothes. Also, far as I know, it is where he was able to amass a couple of real properties and some lands rich in trees for use as lumbers. I remember him visiting us from Indang bringing with him sacks of santol and coconut. It was all in proper timing, since a client of mine (from my wedding management job) asked if we knew of an event place that is not in Tagaytay but near it. The first thing that came to my mind was Indang. Then I came upon a wedding resource website with an entry from Hacienda Isabella. 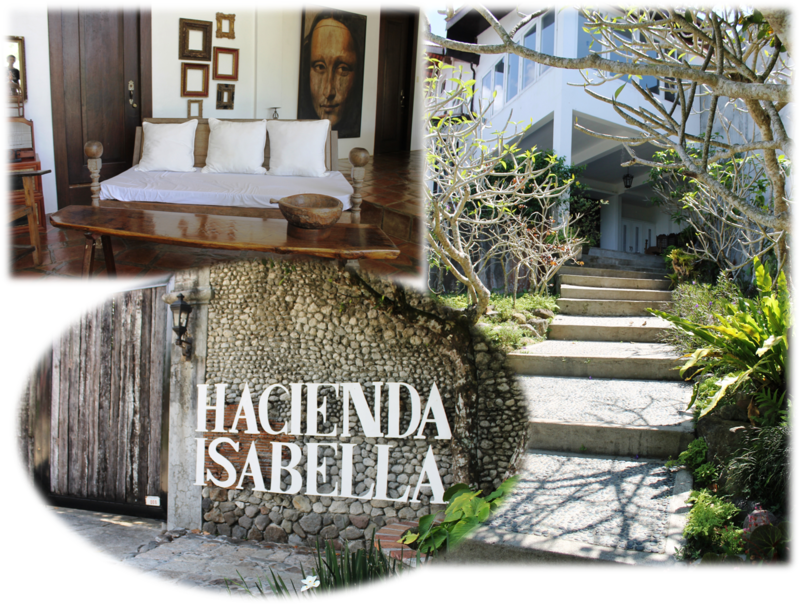 So we took the kids and drove all the way to Indang, first on our list, of course is Hacienda Isabella. I never imagined being in a place as beautiful as this. As if Shakespeare himself was brought to life and got his inspiration in writing sonnets. Well after all, Renaissance arts are all over the villa. 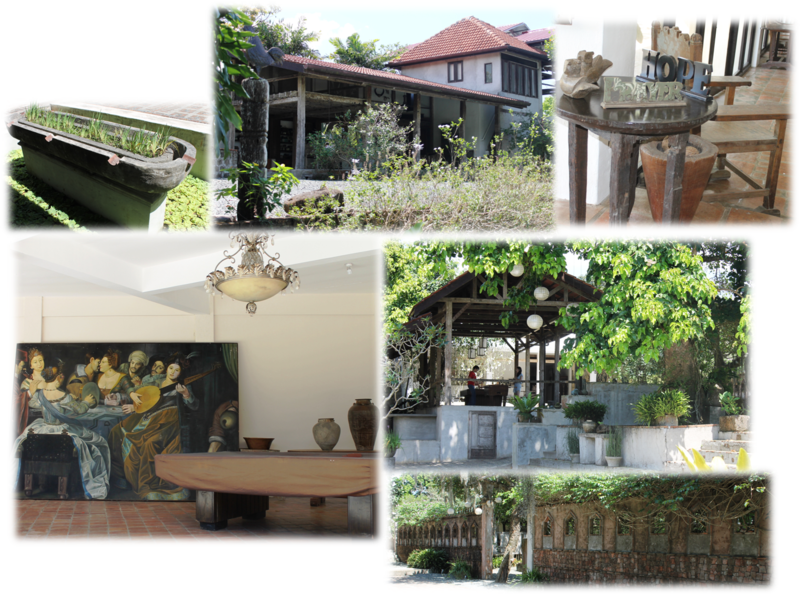 The Renaissance Woman of the Philippines happens to own the property and according to the staff have had her hands, mind and hearts in every single detail of Indang's haven. This indeed had been a haven long been shrouded with countryside glory and celebrity events. Though armed only with a word-of-mouth marketing, they still have a line-up of weddings, intimate family and corporate celebrations and Balikbayan guests. This tiny luxury inn has enormous rooms of immense style, a surprise within the walls of a log cabin. Equipped to the nines, it's a perfect blend of rusticity and stylish warmth, with no detail overlooked. Whatever the season, this chalet makes a dignified retreat. 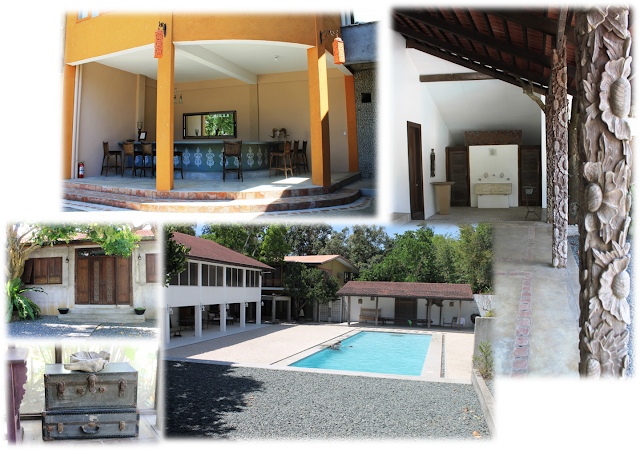 Okay, so let me enlighten you a bit with what Hacienda Isabella is all about aside from its rustic beauty. It's a bed and breakfast, a venue for weddings, team-buildings, retreats and other celebrations anyone can think of. If I was to get married all over again, I would probably choose this, if the beach could not be possible though. Interestingly, many celebrity weddings have been swooned over. In the likeness of celebs such as Marco Alcaraz and Precious Lara Quigaman, Patrick Filart and Patty Laurel, Bam Aquino and Timi Gomez are just a few. The perfect backdrop for many precious and well-loved events. How can not those pastoral walkways, grass-carpeted lawn, lush gardens that looked verdant and thus eludes serenity. 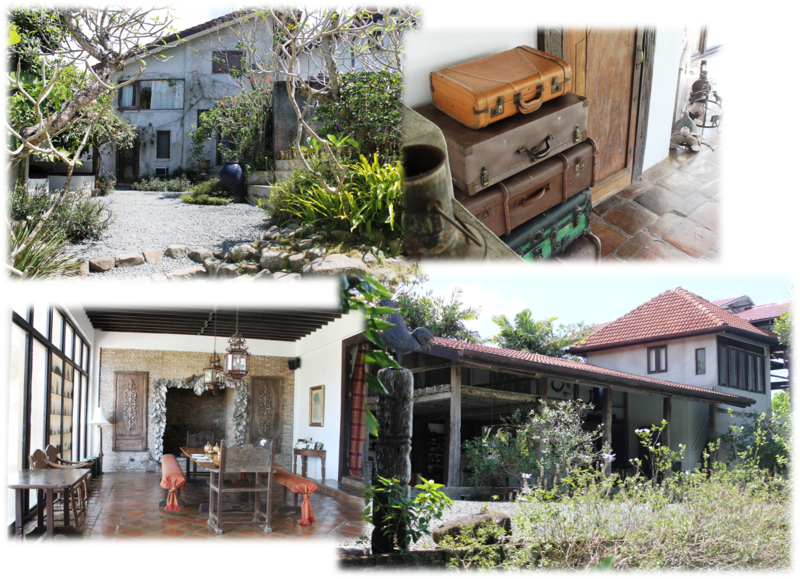 How about those dramatic buildings typical of Bali, Moroccan, French rustic that are sprawled in the 4 hectare land that used to be a vacation home for Kuh Ledesma's family and friends. If only I could allot a whole blogsite for all the pictures worth noting, need to mention that I loved every moment of getting those angles, there are so many interesting nooks and crannies and all those artistic elements in every step of the way. Let me also take this opportunity to thank the staff who gave me a tour around and to the gracious Ms. Malo who even offered a traditional Indang snack. The best tasting suman ever! 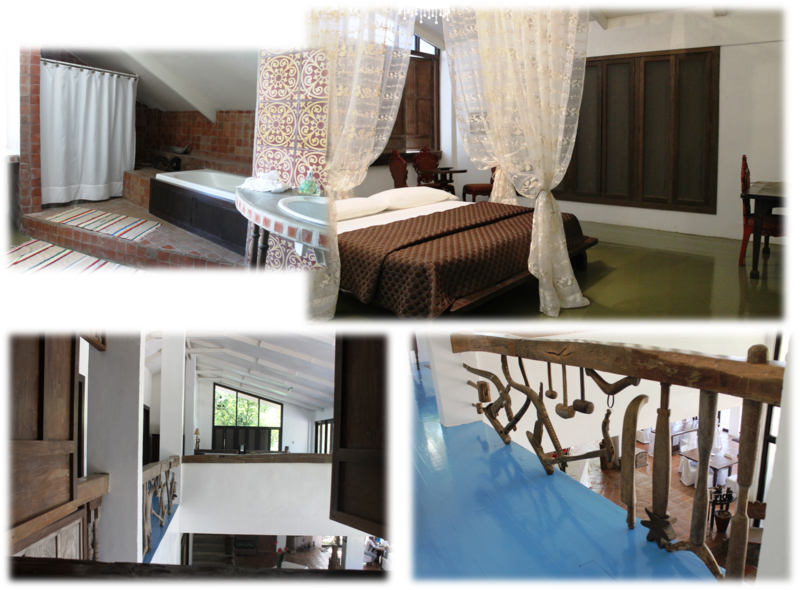 My eyes were still open after seen this lovely images of lal these villas..All these so beautiful,thanks to you who share this nice blog to me..! !